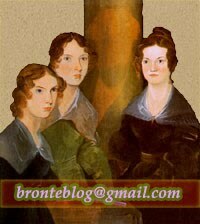 Of his other operas, Jane Eyre (1997), its text drawn from Charlotte Brontë’s novel, enjoyed the longest gestation and received the most attention. The Guardian Book Club writer wonders which book about love they should read this month. Washingtonian recommends '12 Amazing Romantic Getaways for Every Type of Couple'. Times of India highlights some 'Wise words from Jane Eyre'. 'Jane Eyre' is a well-loved classic. It was written in 1847 but the emotions it describes are timeless. Even the situations in it can quite relate with some we face today. However the dignity Jane maintains throughout these situations is commendable and the thoughts behind her actions are filled with wisdom. Here are some of Jane's astute observations. Female First features author Kirsty Ferry. It’s not surprising that I have a particular love of writing ghost stories, as my favourite book is Emily Brontë’s Wuthering Heights. The idea of Cathy and Heathcliff’s undying passion, and Cathy’s spirit wandering around the moors until the lovers are reunited really struck a chord with me when I devoured that book in my early teens. I always wanted to write something as memorable and, yes, Gothically dark as Wuthering Heights, but I soon realised it was an impossible task. I don’t know of anyone who has such a mastery of words, or can write so many memorable speeches as Emily Brontë, and she proved a hard act to follow. So I settled for writing a different sort of ghost story - timeslips, where the past and present collide. A columnist from Radio Reloj (Cuba) praises both novel and writer as well. Granma (Cuba) looks at which new books to look forward to this year. Fundada en 1967, la Editorial Arte y Literatura es una de las instituciones de la cultura cubana que, a través de diez colecciones y por más de 50 años, ha ofrecido a sus lectores las maravillas de la literatura universal. The Depauw reviews the film The Favourite. "When you want to buy a Charlotte Brontë novel, a Shostakovich piece, or Cinema Paradiso they are going to be the same wherever you buy them from." According to Evening Standard, Boden's best-elling dress at the moment is their Brontë dress.